Thanks for all the donations to Justice & Care ! A month ago (28/09/16), I had just summited the Breithorn mountain, at a height of 4,164 metres. This was a climb I had hoped to make for some months. I can report that the experience lived up to all expectations, and was exhilarating. At the same time, I felt surprisingly at home on the summit and the narrow traverse of the peak, and I hope that this is the first of many 4,000 metre peaks. 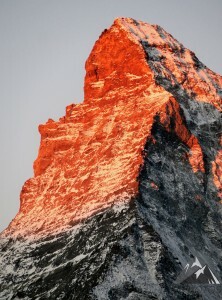 View of Matterhorn on way to Breithorn climb. 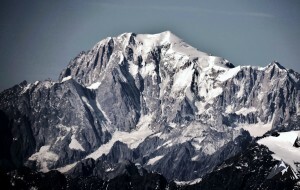 For the Breithorn climb, I booked a local mountain guide. This was for a number of reasons; namely my inexperience of 4,000 metre peaks, plus the Breithorn climb crosses a large snowfield over a glacier. Bruno was my Swiss guide, booked via the Zermatt Alpine Centre, and I hired crampons, boots and a harness from a local hire shop (with a 10% discount from the Alpine Centre. Bruno was an awesome help, and we summited well within the 2 hour ascent (more on the guiding services from the Alpine Centre here ). The views from the summit were awesome, including all the local 4,000 metre plus peaks, and even a great view of Mont Blanc, some 60 kms away! 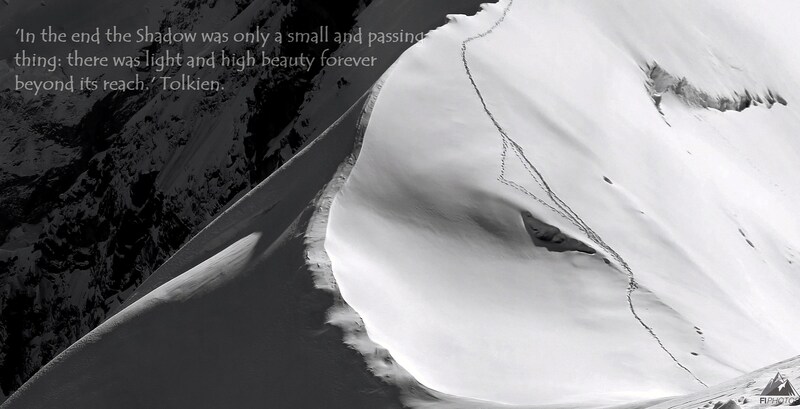 I cannot recommend such an Alpine Adventure enough. 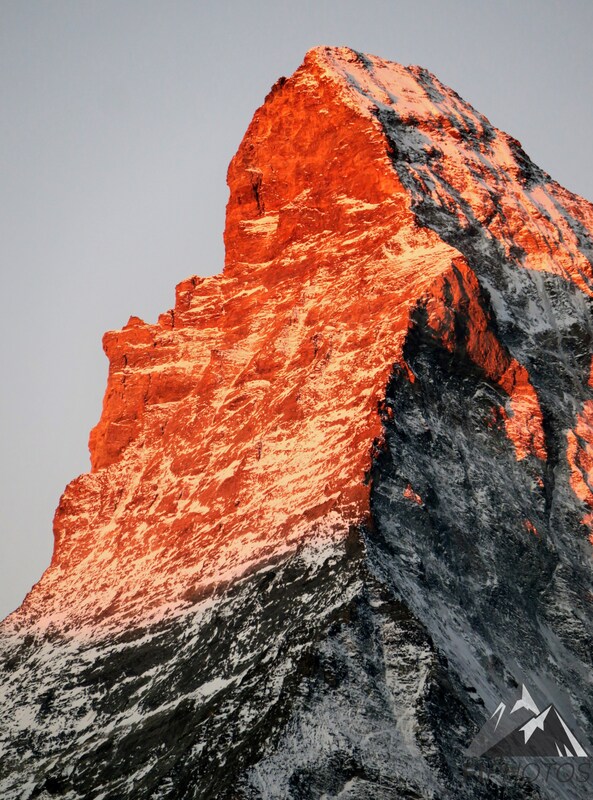 On the way up, we travelled with the Italian, German and Croatian national ski teams, in Zermatt for their late Summer/early Autumn training, and everyone I met was encouraging and friendly. 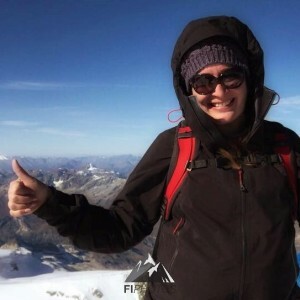 There really is an alpine community who are welcoming, highly professional and fun. 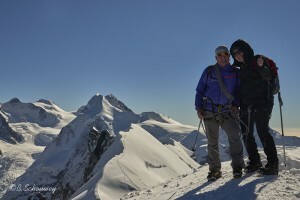 At the top, I met the very kind photographer, Bernard Shouwey, who sent on a great shot of Bruno and I on the summit. Check out his work here. The fun did not stop there lol: on the way down from the summit, I met two climbers straining up the alp with their mountain bikes! The Swiss certainly know how to challenge themselves and have fun! 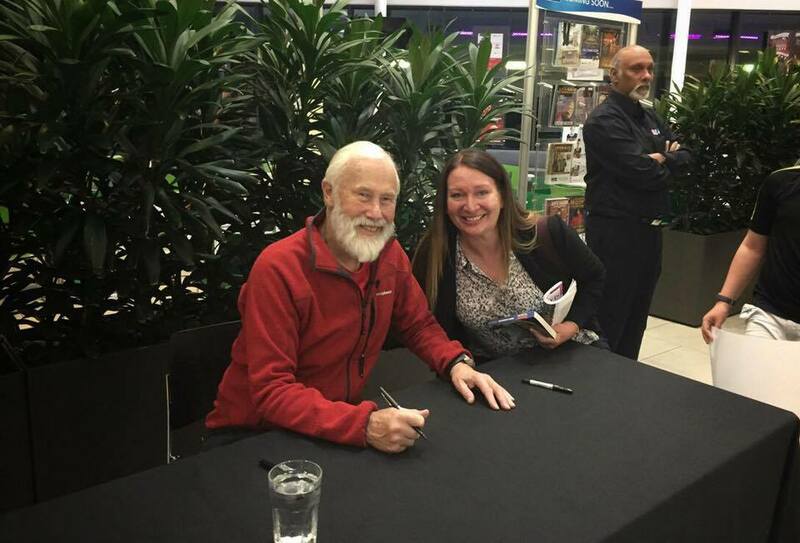 Then, on my return to the UK, got to hear Chris Bonington’s talk on ‘Everest, the hard way’ at GLive in Surrey. Chris is definitely one of my heroes: mountaineer, ambassador for climbers everywhere, and gentleman. He still climbed the Old Man of Hoy when he was 80. Incredibly, first heard him speak back in the late 70s, when he visited my school. Quite awesome that having just climbed my first 4000, I got to hear him again 😀 Good times. View from Breithorn summit towards Roccia Nera 4,075m.